Congratulations on your upcoming wedding! This is an exciting time for you, and we are pleased that you are considering to be married at Lake of the Isles Lutheran Church. As you begin your preparation for marriage, we want to offer you our understanding of Christian marriage. Historical studies show that happy married couples are likely to remain partners for life if they share a faith in God and a spiritual commitment. That is our focus in marriage preparation at Lake of the Isles Lutheran Church. A spiritual life together of worship and prayer can help make your marriage fulfilling and vital. Whether you make your church home at Lake of the Isles or another church, we hope you will make growing in faith and love for God and each other an important part of your marriage commitment. 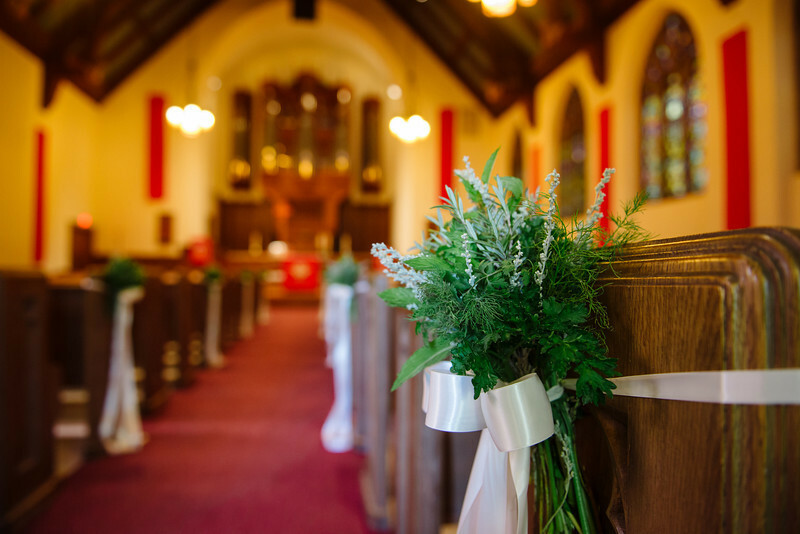 We receive many inquiries from both members and non-members about the possibility of celebrating their wedding at Lake of the Isles Lutheran Church. We consider marriage to be part of our congregation’s ministry to help couples begin their life together with both the blessing of God and the genuine care of this community of faith. Members and non-members are welcome to use our facilities. The first step in planning a wedding at Lake of the Isles is to connect with our Wedding Manager, Sandy Swan. You may contact her at (952) 836-6437 or by email Sandy Swan. Sandy can confirm church availability and talk you through the process of next steps. Self-tours of the sanctuary and are available when the office is open, generally Monday through Friday, 9:30am to 4:00pm. Also the church is open for Sunday service from 8:30-12:00pm if you want to come by at that time. If you need a different time arranged, please contact Linda Nelson or Sandy Swan. 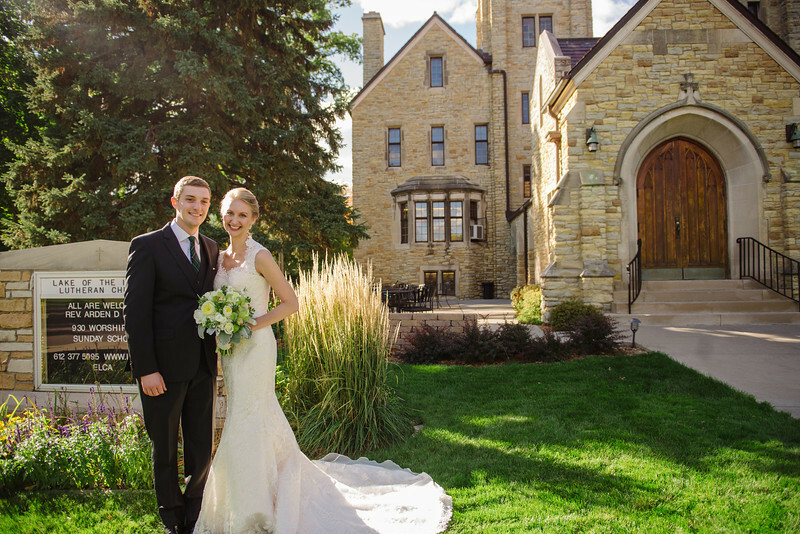 Because of the number of weddings performed at Lake of the Isles Lutheran Church, we recommend that you schedule your wedding at least six months in advance. There are various times during the year when the church is unavailable for wedding ceremonies. These include Holy Week (the week before Easter), Christmas (December 23-25), Confirmation weekend, and days when our musicals and Church School Christmas programs are being presented (dates vary). Please check the calendar to view available dates. Member and non-member weddings will be conducted by our Pastor, Arden Haug. We believe in the ecumenical support of other faith traditions in the wedding ceremony, so our Pastor will invite guest pastors, clergy friends and others who are close to you to participate in the ceremony in a meaningful way. Pre-martial counseling will be a part of your preparation for your wedding at Lake of the Isles Lutheran Church. Our Pastor will guide you through Prepare-Enrich Inventory. This will require approximately 3 meetings with the Pastor, so we strongly encourage couples to begin this process at least three months prior to the wedding. We believe that as you approach your wedding date, and more and more of your focus will be on wedding details, you will discover that the premarital counseling process is a meaningful way of preparing you for life after your wedding day. The Pastor will also help you plan your ceremony as well as give guidance on your program, readings, etcetera. If you have any questions about what should be included in your program of when to start this process, feel free to reach out to Sandy Swan, wedding manager, or Pastor Arden Haug. In the event, you couple is living out of state, a similar program for pre-marriage counseling may be conducted by their local pastor or pre-marriage counselor. Please inform the Pastor of this need. Our organist, Kenneth Vigne is the preferred accompanist for weddings at Lake of the Isles Lutheran Church. He will meet personally with each couple to discuss the musical and stylistic details of the wedding service, as well as provide musical recommendations. We believe that your wedding music should be both worshipful and meaningful to you, and we can accommodate a variety of musical styles. If you would like other musicians to participate in the ceremony, we welcome them, and will work with you to incorporate them meaningfully in the service. The assigned ‘day of’ wedding coordinator is here to help run the rehearsal/ceremony, order of events, queueing the musicians and the wedding party. Any planning questions prior to the wedding weekend can be directed to Sandy Swan, Wedding Manager, or (952)836-6437. Your contract includes 4 hours at the church on the day of the wedding. A wedding coordinator and the church will be available (3) hours prior to the service on your wedding day if pictures are to be taken before the ceremony. If formal pictures are after the ceremony, wedding coordinator and the church will be available (2) hours prior to the service. Additional hours can be added for $50 per hour and this can be paid by check at the wedding rehearsal or included in your final payment. Most weddings require a rehearsal so that all people involved will feel comfortable with the service and able to participate fully in worship. The wedding rehearsal’s generally start at 5:00, 5:30 or 6pm and end within 45-60 minutes. Please discuss your rehearsal time preference with Linda Nelson, Office Manager. The rehearsal will take place the night before the wedding. Guest pastors are not expected to attend the rehearsal, though they may choose to if they are not familiar with our sanctuary. We suggest that only the people who are part of your ceremony attend the rehearsal at the church. This will help ensure the process goes smoothly and quickly. IMPORTANT! Please be sure to have your wedding party here on time for the rehearsal! Traffic can be particularly challenging on weekday nights in Minneapolis, so please keep this in mind. You may want to provide a map as the Lake of the Isles area has several one-way streets and limited parking. We do not have a parking lot designated for the church, however off street parking is generally sufficient, including the surrounding neighborhood blocks. 1) The license: You cannot be married legally without a license. To eliminate the risk of misplacement on your wedding day, please bring the entire license package to the rehearsal, including the return-mailing envelope. In the state of Minnesota, a license must be obtained at least 10 days but not more than six months prior to the date of the wedding. It will be completed by the best man and maid/matron of honor immediately following the marriage ceremony or just prior to. 2) Three (3) copies of your program for the pastor, coordinator and musician. 3) The unity candle and tapers, if you are using them. 4) Vows you have chosen for your ceremony. Videos are acceptable if the cameras and operators are not intrusive. Flashes are not permitted during the ceremony. A photographer may use flash during the processional and recessional, but then must turn it off during the ceremony. Photographers are not allowed to shoot from the organ area because this is distracting to the organist, the wedding party, and the couple. Photographers are not allowed to be in the center aisle during the ceremony – they may use the center aisle during the processional and/or recessional. 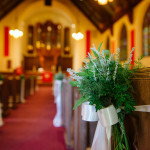 Your photographer may not stand in front of the first pew and may not shoot photos from the pews unless there is an empty row behind all the guests. Movement in the aisle and balcony can is heard all around the sanctuary and is distracting, therefore please keep movement to a minimum. A tripod may ONLY be set up in the balcony. Due to fire codes, tripods may not be set up in either the center aisle or side aisles. Please remind your photographer that the church will be open 3 hours prior to the ceremony, (2 hours if pictures are to be taken after the ceremony), or until the time you have agreed upon with the wedding coordinator. The photographer must completely tear down and clear out of the sanctuary at least 30 minutes before the ceremony. The couple will be charged $50 per hour, or portion there-of, for any time that goes over the 4 hours on the wedding day inside LOTI. This includes clean-up of all equipment and all guests vacating the building. You are free to use the church grounds outside after the 4-hour period but the church may be locked. The use of our sanctuary for weddings is available to members and non-members. If you are interested, we invite you to consider making Lake of the Isles your church home. As stated in the introduction, we believe that faith and regular participation in the life of the church are important assets to a healthy and lasting marriage. We invite you to worship with us on Sunday mornings and stay after the service to meet others in the church. If, after visiting several times, you are interested in church membership at Lake of the Isles, please contact the church office for information about new member classes. Keep in mind that membership in any church should be a meaningful connection for you to a family of faith with whom you intend to become involved.